Cat book reviews; books about cats for their humans. From a person that enjoys spoiling her cats, filling my phone with their pictures and talking about them to other cat people who really understand the challenges of the feline personality. 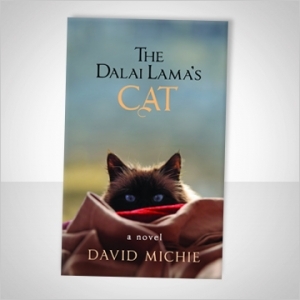 One night at dinner one of my favorite cousins, knowing that I am a cat person (but really, who doesn’t know), suggested I add The Dalai Lama’s Cat by David Michie to my reading list. Fortunately, I was just about to leave for vacation and was looking for a page turner for the plane so I immediately downloaded the book. This cat book review is near and dear to me. As I’m a big fan of the creator and his illustrative work. 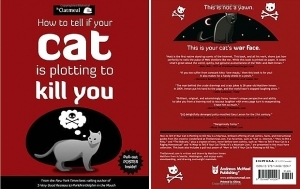 How To Know If Your Cat Is Plotting To Kill You has an alarming title but is a delightful read for the feline obsessed! This is brought to you by the creator of the hilariously awesome website; The Oatmeal. Matthew Inman takes his insights and factoids about cats and makes them entertaining. He captures the true essence of quirkiness that is typical feline behavior. He undoubtedly has an affinity for cats, hence the book and the numerous blog posts that center around feline antics that are sure to you giggle! He may be as obsessed with his cat as the rest of us are! As a society, we are moving in a greener direction. As pet owners, we are pampering our pets, feeding them high quality food but are we thinking about their carbon paw print? 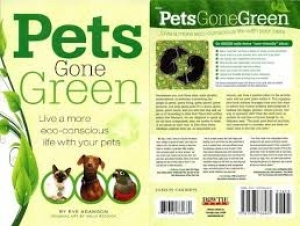 Pets Gone Green, by Eve Adamson, gives a great overview of what you can do to be a greener pet parent. She addresses everything from reasons to buy organic toys, to pet ‘themed’ composting. The author is admittedly a dog person but includes the feline perspective when she can and most of her points are applicable to any pet.